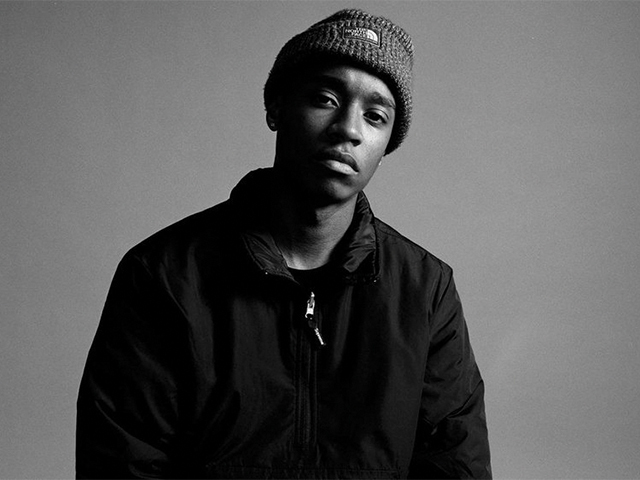 Rejjie Snow is an Irish rap sensation that has put Ireland on the map for rap and hip-hop. Alexander Anyaegbunam, more popularly known as Rejjie Snow, has blown up in the past few years internationally and returned to his roots in Dublin on Monday to a packed arena filled with fans who have always believed in his dream. The anticipation for Rejjie’s appearance was high as the crowd cheered his name to the top of their lungs. The smoke, strobing lights and amazing atmosphere must have given everybody in the room goosebumps. It’s safe to say that audience’s age group was a strange mixture, ranging from around 16 to about 30. However, the diverse crowd highlighted that Snow’s music isn’t just aimed at a specific age group, but rather for everybody and anybody. The night opened with support acts: Ebenezer and Rain (MrIAmNext). Although they weren’t well-known to the Irish audience, they still received an immense amount of support from the crowd and hyped up the whole room before Rejjie came out on stage. When it was time for Snow to walk out on stage, the crowd was in hysterics. He greeted the big audience with his comforting Dublin accent and made everybody feel united. He kicked off the show with some tracks from his latest 20-track LP, Dear Annie, including ‘Annie’, ‘Room 27’, ‘Greatness’ and ‘Egyptian Luvr’ featuring Amine, which had the crowd singing along and swaying side to side. He then switched up the energy in the room when he performed upbeat ‘Pink Lemonade’, ‘Charlie Brown’ and ‘Bye Polar’ causing the crowd to go wild and had Rejjie showing off his best dance moves too. The mood then changed when he performed more relaxed melodies such as the French-titled songs ‘Desole’ and ‘Mon Amour’ which had almost everybody recording on their phones, swaying their heads about. The sensual mood continued when he performed ‘PINK FLOWER’ and ‘SUNNY CALIFORNIA’, while couples held each other and danced together. Mid-concert, Snow brought out the well-known and growing Irish rap group, Versatile, which was a surprise to most. Whether you love them or hate them, they sure knew how to get most of the crowd pumped, although it was clear that there were some unhappy faces. There was a strong sense of nostalgia in the arena when Snow brought it back to 2013, and performed an old hit from the Rejovich EP, ‘Olga (1984)’. The audience’s faces lit up as they reminisced about the beginning of Rejjie’s music career and all his first hits. The atmosphere was sentimentally thrilling for every person in the room. Between the talented supporting acts, the vibrant crowd, the hypnotising light visuals and Rejjie Snow’s breathtakingly soft yet powerful voice, the concert was an experience to remember. The energy sprung back and forth between the Irish rapper and his crowd, making the aura both intense and enjoyable for all who attended.